Between 8:42 to 8:45 a.m. in New York, almost 5,000 contracts were traded, each covering 25,000 pounds of the red metal. That was 16 times the 100-day average for that time of day, a spike in volume that extended the metal’s losses on the Comex. 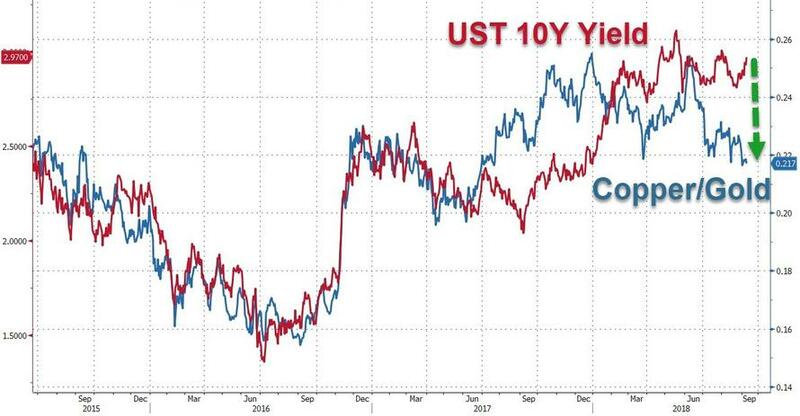 As Bloomberg points out, that is over $300 million notional value of Copper dumped in just three minutes and follows August's collapse - the worst month for the forecasting commodity in over two years. 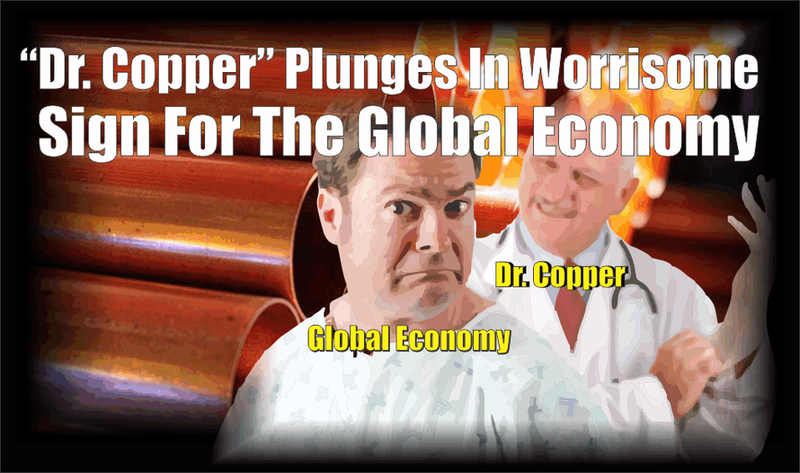 So is Dr.Copper right? 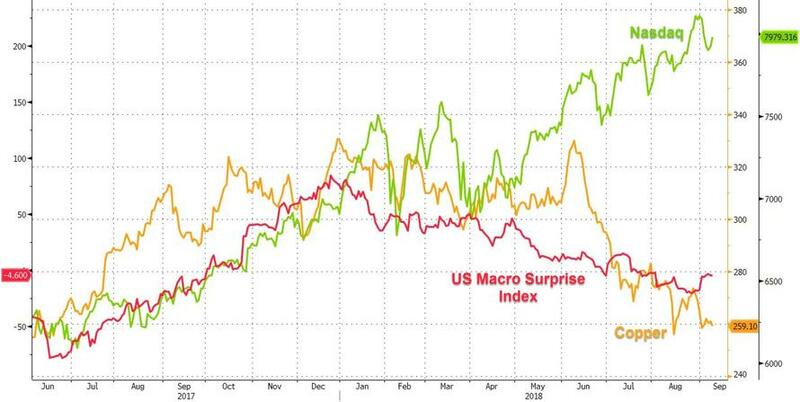 And US Stocks wrong?